Clermont tighthead prop Rabah Slimani failed to roll away at a ruck that allowed Owen Farrell to kick a third-minute penalty and soon he followed it with another three pointer. Saracens further upped the ante when Ben Spencer breached the home side's defence and Farrell's conversion made it 0-13 within the first 10 minutes of the game. Clermont's response came through Parra, who slotted two penalties in the 17th and 21st minutes to reduce the gap down to seven points and their comeback were aided by a yellow card to Will Skelton for a high tackle. Parra struck two more penalties and the first half came to an end with a scoreline of 12-13. And the hosts were ahead seven minutes into the second half when Parra surpassed the 500-point mark in European competition after Farrell strayed offside. He made it six penalties from seven attempts after a heavy forward drive to move Clermont into a 18-13 lead. Clermont's momentum was dented a bit when Nick Abendanon was yellow carded for a tackling a man out in the air and soon Saracens' Farrell and Alex Lozowski contributed with a penalty and a try in the 59th and 62nd minutes respectively allowing them to gain a 18-21 lead. But Juan Figallo failed to roll away at a ruck to earn a yellow card and allow Parra to level the scores. 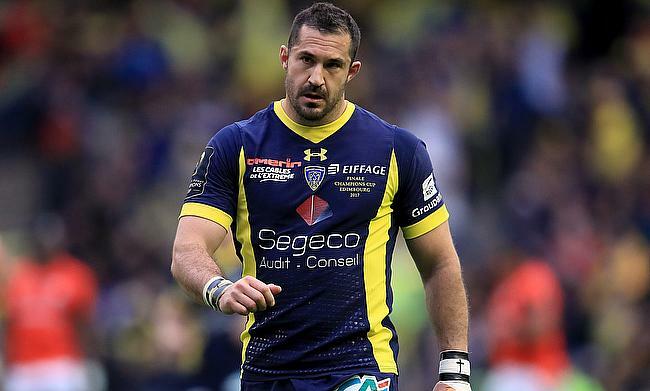 And with the match on the line, Clermont earned a scrum penalty, which Spedding smacked over from long range.